Is the FDA Really Phasing Antibiotics Out of Meat? Some day soon, you might tuck into a plate of salmon without knowing that the fish you are eating was genetically engineered. The so-called AquAdvantage salmon, a salmon genetically engineered to grow faster than normal salmon, just moved one step closer to legalization. If so, (Photo: Andrea Pokrzywinski via Flickr)it will be the first genetically engineered (GE) animal allowed for consumption in the United States. Thus, every part of the regulatory process related to the GE salmon sets a precedent for all future GE animals in the United States – and so far, according to experts, that precedent is a sloppy, inadequate one. To create the GE salmon, the Boston-based public company AquaBounty Technologies inserted DNA from another salmon species and an eel-like fish into the genome of an Atlantic salmon. The new genes make the GE salmon produce growth hormone all year round instead of just for three months a year as they normally would. This helps them grow to market size in 16 to 18 months instead of the usual 30 months required for an Atlantic salmon. AquaBounty will produce salmon eggs in Prince Edward Island, Canada. Then it will transport them to an inland facility in Panama, where it will grow the fish, harvest, and process them. The firm claims no live fish will ever enter the United States. How Are GE Animals Regulated? The next question one might ask is how the federal government goes about deciding whether or not a GE animal should be allowed in our food supply. Under a 1980s decision, written by anti-regulation ideologues in the Reagan and Bush I era before any GE foods – plants or animals – were ready for commercialization, the government decided that no new laws were needed to regulate GE plants or animals. This decision is called “the Coordinated Framework for the Regulation of Biotechnology,” or the Coordinated Framework for short. Whereas the European Union debated the regulation of GE foods and drafted new laws to address issues such as safety, traceability, allergenicity and environmental impacts, the U.S. never passed any new laws specific to GE animals or had the kind of public debate passing a new law would require. Instead, they decided to regulate GE animals as “animal drugs,” using laws that are not well-suited to the unique, complex issues posed by GE animals. Specifically, the government considers the extra DNA added to the GE animals as the “animal drug.” New Animal Drugs are regulated by the Food and Drug Administration, and they receive input from the Veterinary Medicine Advisory Committee (VMAC) – a committee mostly made up of veterinarians, not genetic engineering experts. When a new animal drug is approved, it is only approved for production in a specific facility. Therefore, if you invent a new pill for cats, you submit data on its production in a specific facility, and you receive approval to produce it only in that facility. If you decide to build eight more factories because your drug is so popular, you must go back to the FDA to receive approval for the eight new facilities. Back in 2010, the FDA took the first steps to approve AquaBounty’s application to produce the GE salmon. It released a draft Environmental Assessment (EA) and several hundred pages of safety testing data from experiments performed by AquaBounty on the GE salmon. Then it gave the public a mere two weeks to comment on the data, and it convened VMAC to advise it on the GE salmon. For watchdog groups, this was the first signal that something was, well, fishy. Consumers Union senior scientist Michael Hansen excoriated the safety data as “sloppy,” “misleading,” and “woefully inadequate.” In addition to using small sample sizes and culling deformed fish and thus skewing the data, AquaBounty only provided data gathered in its Prince Edward Island facility, where it will produce GE salmon eggs. But, by law, it must also provide data from its Panama facility, where it will grow the salmon to full size. The VMAC committee didn’t give a resounding approval either. The New York Times summarized their findings, saying, “While a genetically engineered salmon is almost certainly safe to eat, the government should pursue a more rigorous analysis of the fish's possible health effects and environmental impact.” However, the committee only advises the FDA, and its decisions are not binding. Following the VMAC meeting and a second, public meeting on labeling issues surrounding the GE salmon, the FDA went silent. Over the next two years, it quietly examined the public comments and the input from the VMAC committee. But despite VMAC’s suggestion for a more rigorous analysis, the FDA moved the application one step closer to approval without really addressing the gaping holes in the AquaBounty’s science. In May of 2012, it produced an ever-so-slightly improved Environmental Assessment (EA) compared to the original draft it made public in 2010, and a preliminary “Finding of No Significant Impact” (FONSI). The preliminary FONSI and draft EA were not made public until they were published in the Federal Register on December 26, 2012. At that point, the FDA began a 60-day period in which the public could review its findings and submit comments. What happened between 2010 and 2012 to improve our confidence that the GE salmon is safe for human consumption and for the environment? Nothing. There’s no new data whatsoever. The only changes are a few minor additions to the EA – certainly not enough to inspire confidence that the government heard the critiques made in 2010 and addressed them. After a group of Senators led by Mark Begich (D-AK) sent the FDA a letter asking for a 60-day extension to the comment period, the FDA agreed to take comments until April 26, 2013. What’s Fishy About the GE Salmon? “There are still unanswered safety and nutritional questions and the quality of the data that was submitted to the FDA was the worst stuff I've ever seen submitted for a GMO. There's stuff there that couldn't make it through a high school science class,” reflected Hansen in early 2013, after reviewing the newly released documents. Almost laughing, Hansen remarks on the obvious flaws in AquaBounty’s scientific justification of the fish’s safety, saying, “That's not science, that's a joke!" Becoming more serious, he adds, “There's allergenicity questions and other health questions. It shouldn't be approved. They don't have any data to show that it's safe." In an interview with Flash in the Pan, environmental risk scientist Anne Kapuscinski also criticized the FDA’s process. 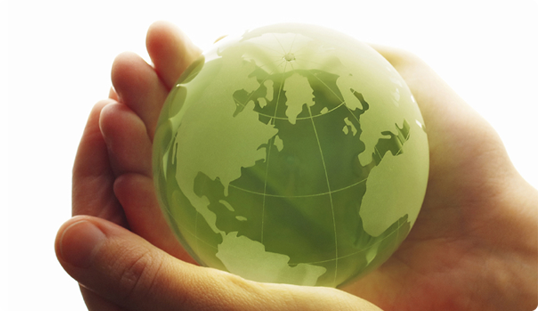 Back in the 1990s, she authored the reports on how to perform environmental risk assessment. But, by 2007, her 1990s publications were so out of date that she led a team of scientists to write an updated book on the subject. Despite the updated scientific methods, the FDA opted to use the old, outdated methods from the 1990s to conduct its environmental risk assessment on the GE salmon. She submitted comments back in 2010, but says, “it looks like either they didn’t read our comments or they just decided to ignore them.” She points out that the Panama facility that AquaBounty will use to grow the fish out of is not large enough for a commercial venture. “It’s at a scale to show proof of concept of the commercial viability of this,” she said. “Once the company scales up to selling millions and millions of eggs, the fish will be farmed by producers with all kinds of facilities.” Those facilities might not be as well protected as the one in Panama. Unless the FDA brings its risk assessment methods up to date, we have no adequate, scientific assurance that GE salmon won’t escape into the wild. Unfortunately, as Hansen notes, "This is to set a precedent. If they let the GE salmon go through, why would any other company that wants to get a genetically engineered animal through bother” producing rigorous, scientifically valid data to prove its product’s safety? If you don’t want to see GE salmon in your local supermarket in as little as a few years, you can take action. The FDA is accepting public comments until April 26, 2013. You can write your own message and submit it at Regulations.gov or you can join Food and Water Watch’s campaign against the GE salmon here. You can also write your representatives to let them know your point of view. CORNUCOPIA, WI - March 18 - The Cornucopia Institute formally requested that the Food and Drug Administration (FDA) remove the common food additive carrageenan from the US food supply. Last year the FDA rejected a 2008 citizen petition, which presented scientific studies linking carrageenan to gastrointestinal inflammation, including cancer. The petition was filed by Dr. Joanne Tobacman, a physician-researcher at the University of Illinois – Chicago College of Medicine, who has been studying food-grade carrageenan for more than a decade. “It is disappointing that the FDA continues to permit carrageenan to be used as a food additive despite clear evidence that it causes inflammation,” says Dr. Tobacman. The Cornucopia Institute also just released a report, Carrageenan: How a ‘Natural’ Food Additive Is Making Us Sick, which compiles scientific studies pointing to harm from consuming food-grade carrageenan. Cornucopia also produced an accompanying buyer's guide for avoiding the ingredient. Some well-known physicians, like Dr. Andrew Weil, have been warning consumers about carrageenan for years. "We couldn't find an organic thickener for our soy milks, and one of our employees had the great idea to simply say "Shake It Up" on the bottle,” says Matthew Schmit, The Tofu Shop’s founder and president. “We're confident that our customers don't mind the minimal effort of shaking the soy milk first and that they prefer a wholesome product free of additives." Other companies, like Dean Foods, which owns the Horizon organic brand and Silk brand, appear unwilling to part with this convenient additive and are attempting to dispute the science, disseminating misleading claims that food-grade carrageenan is "natural" and therefore safe. Will the FDA Crack Down on E-Cigarettes? An important debate over the safety of the e-cigarette is raging. Cigarette smokers in the United States have been under steady attack. To smoke is no longer considered glamorous, cool or socially acceptable. Smokers are confronted and shamed by non-smokers and have been banished to huddle and inhale in remote locations far from public view. A series of state laws prohibit smoking in almost all workplaces, restaurants and bars. The most common exceptions to smoking bans are casinos, strip clubs and brothels. Signs outside of buildings order smokers to stand a specific distance away from the entrance. Last May, New York City banned smoking in parks, beaches, boardwalks and pedestrian plazas. Mayor Bloomberg said, "When you ask people in our parks and beaches they say they just don't want smokers there." Smoking cigarettes, which are still legal, has become as stigmatized as smoking crack. An addiction that was once ubiquitous and promoted is now routinely demonized. As a result of public health campaigns waged over decades against the lies of the tobacco industry, the number of smokers in the United States has declined. Still, according to the Centers for Disease Control, 443,000 Americans die prematurely from smoking-related illnesses and secondhand smoke. The World Health Organization reports that tobacco kills nearly 6 million people worldwide every year. Currently, about 45 million Americans smoke tobacco. Seventy percent say they would like to quit and every year 40 percent do for at least one day. The 80 percent who quit relapse within one month and each year only 3 percent of those who quit are successful. To help people quit, a number of nicotine replacement products are available: gums, lozenges, inhalers, nasal sprays and transdermal patches. The electronic cigarette (e-cig) is the newest nicotine delivery device and has been available since 2008. Electronic cigarettes look and feel like cigarettes but with one crucial difference: They don’t contain tobacco. Smoking-caused disease is a consequence of repeated exposure to carcinogens in tobacco smoke, not to the ingestion of nicotine. About 2.5 million people use e-cigarettes in the U.S., according to an estimate by the Tobacco Vapor Electronic Cigarette Association. The number of e-cig smokers is sure to grow as they become more widely available and the cost drops. The price of a starter kit ranges from between $60 to $100. Cartridges of liquid nicotine, one equals one pack of cigarettes, costs about $2. Big Tobacco views e-cigarette companies as a threat to its profits and is moving to buy them up. Forbes reports that Lorillard, the third largest tobacco company, just bought Blu Ecigs for $135 million. The company earned $30 million in revenue in 2011 and the electronic cigarette market as a whole, generates between $250 million to $500 million. With a long track record of addicting people to tobacco through aggressive marketing campaigns, deception and disinformation, the danger is that these corporations will do the same with e-cigarettes. The battery operated e-cigarette is easy to use. An atomizer heats and vaporizes a cartridge filled with nicotine, which is inhaled by the user. The water vapor that is exhaled has no odor because there is no combustion. The e-cig contains five ingredients: nicotine, water, glycerol, propylene glycol and flavorings like cherry and vanilla. Both glycerol and propylene glycol are used in other nicotine replacement products. An important debate has been ignited over the safety of the e-cigarette. Several years ago, the Federal Drug Administration found trace amounts of toxic ingredients in several samples and attempted to regulate e-cigarettes as drug-delivery devices. A federal judge ruled in 2010 that the FDA lacked the authority. Now the FDA is moving to regulate them as tobacco products. This is nonsensical. The e-cigarette is a drug delivery device and not a tobacco product. And in a confusing move, the FDA has seized shipments of electronic cigarettes on the grounds that they are illegal drug-delivery devices. Who or What Brought Down Dag Hammarskjöld? Prison Planet.com » Pizza To Be Regulated? Are Europe and the Middle East Both on the Verge of Unraveling? Is this person our new President? GMO and the Right to Know: But What’s Hidden Beneath the Label? Is Coke Illegally Claiming ‘Diet’ Soda is a Treatment for Obesity? Don't worry if you aren't trained in garden warfare. There's an easy way to declare your independence and become a gardening guerrilla. 1) GM crops are needed to feed the world. 2) The GMO agritech industry is based on sound science and reasoned argument. A new report just released by Environmental Working Group has delivered a stinging rebuke to the argument that GM crops are the answer to future global food shortages (also see this, this and this). A thorough analysis of recent research conducted in the US and around the world shows that such crops have not significantly improved the yields of crops such as corn and soy. While GM crops have been a mainstay in US agriculture for roughly two decades, they “have not substantially improved global food security” and have instead increased the use of toxic herbicides and led to herbicide-resistant ‘superweeds’. The report found that over the last 20 years, yields of both GE corn and soy have been no different from traditionally bred non-GM corn and soy grown in Europe. It argues that corn and soybeans account for roughly 80 percent of the global land area devoted to growing GM crops. Both are overwhelmingly used for animal feed and biofuels, not for food. This is unlikely to change in light of increased consumption of meat around the world and the US biofuels policy requiring production of millions of gallons of corn ethanol to blend into gasoline. The report concludes that traditionally bred varieties have been the major source of improved crop yields in recent years and this trend is likely to continue. Consider that by 2012, 59 percent of the area planted with GM crops were those resistant to glyphosate. Some 26 percent consisted of insecticidal Bt crops and 15 percent were crops carrying both traits. The organisation GRAIN says that is just two traits after 20 years of research and mega-millions of dollars invested. The real measure of what this technology has produced is according to GRAIN to be found in damaged ecosystems, potential health harms, farmer dependency and big profits for the companies. But profits are and were always the bottom line, not addressing world hunger. 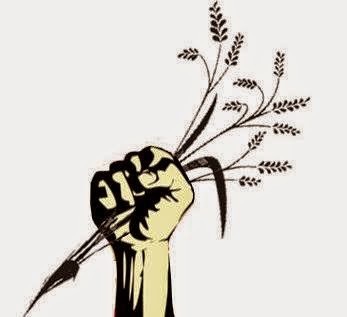 If anything, the planting of GM crops is displacing peasants from their lands, depriving local communities of access to food production and increasing food insecurity. 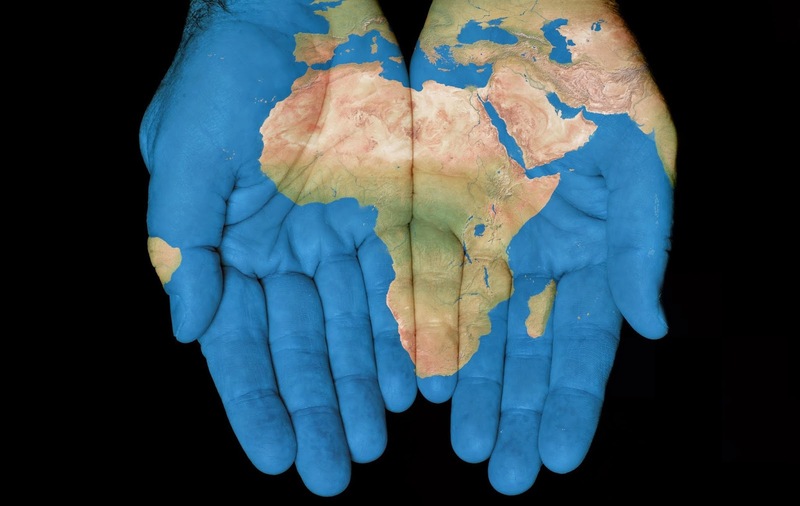 Any amount of genetic modification will not address the structural nature of poverty, inequality and hunger, including the geopolitical antecedents. 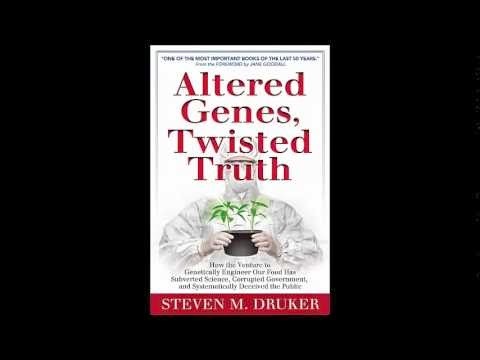 The second piece of research that strikes at the heart of the industry’s other major claim - that the case for GM agriculture is based on sound science and reasoned argument - is debunked in Steven Druker’s new book. Druker pulls the rug from beneath the GMO agritech industry and its apologists in academia and the media who ceaselessly trumpet their allegiance to discourse based on science. ‘Altered Truth, Twisted Genes’ exposes the fraudulent basis upon which the GMO agritech sector is based. GM foods first achieved commercialisation in 1992 but only because the Food and Drug Administration covered up the extensive warnings of its own scientists about their dangers, lied about the facts and then violated federal food safety law by permitting these foods to be marketed without having been proven safe through standard testing. If the FDA had heeded its own experts’ advice and publicly acknowledged their warnings that GM foods entailed higher risks than their conventional counterparts, Druker says that the GM food venture would have imploded and never gained traction anywhere. He also argues that that many well-placed scientists have repeatedly issued misleading statements about GM foods, and so have leading scientific institutions such as the US National Academy of Sciences, the American Association for the Advancement of Science and the UK’s Royal Society. While Druker’s book serves to expose the sheer hypocrisy of the industry and its supporters who claim critics to be anti-science and ideologues (a case of projecting their own faults and failings on to critics), Emily Cassidy argues that what GMOs have done is to increase the use of glyphosate, the main ingredient in Monsanto’s Roundup herbicide. She concludes that, unfortunately, the only things popping up faster than herbicide-tolerant superweeds are the unsupported claims of GMOs’ benefits. And that neatly leads us on to glyphosate itself. On 20 March, the World Health Organisation reached a decision that strikes at the heart of the company. The WHO’s International Agency for Research on Cancer (IARC) said that glyphosate was "classified as probably carcinogenic to humans." This is just one step below the risk designation of "known carcinogen." Glyphosate is the active ingredient in Monsanto’s Roundup herbicide, which was primarily responsible $5.1 billion of Monsanto’s revenues in 2014. But that’s not all. The herbicide is used to support Monsanto's Roundup Ready crops, which comprise the vast bulk of the balance of its revenue stream. Little surprise that with so much money at stake Monsanto is calling for a retraction of the IARC’s report. It remains to be seen if the WHO capitulates. While the agribusiness sector has a long history of silencing science and scientists, it has now been alleged that USDA scientists are ordered to retract studies, water down findings, remove their name from authorship and endure long indefinite delays in approving publication of papers that may be controversial. Scientists who are targeted by industry complaints find themselves subjected to disruptive investigations, disapprovals of formerly routine requests, disciplinary actions over petty matters and intimidation from supervisors focused on pleasing stakeholders. So much for open discourse based on sound science and reasoned argument. And the bad news just keeps coming. Bt brinjal has failed for the second year in Bangladesh resulting in hardship for farmers, and Monsanto has been forced to pay out $600,000 in fines for not reporting hundreds of uncontrolled releases of toxic chemicals at its eastern Idaho phosphate plant. It also paid out a string of lawsuit settlements totaling $350,000 as a result of its GMOs tainting wheat in seven US states. But there is some good news in all of this for Monsanto. Monsanto’s ‘discredit department’ now has more than enough on its plate and will certainly not be closing down any time soon. The only thing it will be attempting to shut down are studies that affect the company's profits. Now that I know what's in the "treats" that they push, I'm positive that taking candy from strange rabbits is a terrible idea. Pro-GMO scientists have every right to speak on psychology, politics and democracy. However, let a non-scientist criticise GMOs and they are accused of self-serving elitism or ignorance. Indeed, let even a scientist produce scientific evidence that runs counter to the industry-led science and he or she is smeared and attacked. The pro-GMO lobby talks about choice, democracy and the alleged violence of certain environmental groups but says nothing about the structural violence waged on rural communities resulting from IMF/World Bank strings-attached loans, the undermining of global food security as a result of Wall Street commodity and land speculators, the crushing effects of trade rules on poorer regions or the devastating impacts of GMOs in regions likeSouthAmerica. To discuss such things is political and thus 'ideological' and is therefore not up for discussion it seems. “Anyone who’s seen the recent virally circulated Venn diagrams of the personnel overlap between Monsanto and USDA personnel, or Pfizer and FDA, will immediately know what I’m talking about… A model of capitalism in which the commanding heights of the economy are an interlocking directorate of large corporations and government agencies, a major share of the total operating costs of the dominant firms are socialized (and profits privatized, of course), and “intellectual property” protectionism and other regulatory cartels allow bureaucratic corporate dinosaurs… to operate profitably without fear of competition." Kevin Carson, Center for a Stateless Society. Even with this power and political influence at its disposal, the GMO agritech industry is far from being a success. Much of its profits actually derive from failure: for example, Andrew Kimbrell notes that after having chosen to ignore science, the industry’s failing inputs are now to be replaced with more destined-to-fail and ever-stronger poisonous inputs. The legacy of poisoned environments and ecological devastation is for someone else to deal with. In his book, Steven Druker has shown that from very early on the US government has colluded with the GMO agritech sector to set a 'technical fix-failure-technical fix' merry-go-round in motion. This is not what the GMO industry wanted to see: banner headlines in major newspapers and across the internet exposing the fraud behind GMOs. But this constitutes much more than a PR nightmare. The story behind the headlines shakes the very foundations upon which the industry is built. Goodall adds that the companies have spread disinformation to try and win public support. Jane Goodall is best known for her 55-year study of social and family interactions of wild chimpanzees in Gombe Stream National Park, Tanzania. She holds many awards for her environmental and humanitarian work, including the Benjamin Franklin Medal in Life Science, the French Legion of Honour, Japan’s Kyoto Prize and the Tyler Prize for Environmental Achievement. “We have had the National Academies of Science give a clean chit of biosafety to GM crops — doing that by using paragraphs lifted wholesale from the industry’s own literature! Likewise, Ministers in the PMO who know nothing about the risks of GMOs have similarly sung the virtues of Bt Brinjal and its safety to an erstwhile Minister of Health. They have used, literally, 'cut & paste' evidence from the biotech lobby’s 'puff' material. Are these officials then, 'uncaged corporate parrots'?” Aruna Rodrigues, writing about the situation in India here in The Hindu. You would if you are the US government, which has done exactly that, as described in Drukers new book 'Altered Genes, Twisted Truth: How the Venture to Genetically Engineer Our Food Has Subverted Science, Corrupted Government and Systematically Deceived the Public' (Clear River Press, March 2015).